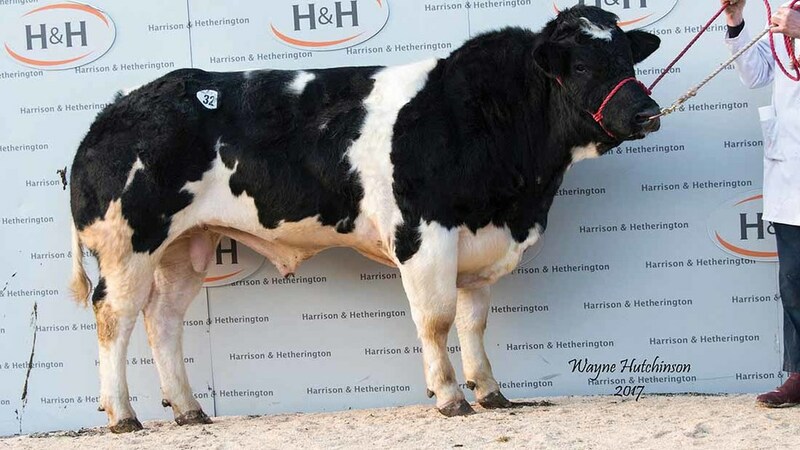 A BULL from J. and E. Coates, Settle, topped 11,000gns at the British Blue society sale, Carlisle. Greystone Kellogs, April-2015 born by the 20,000gns Almeley Ginola, and out of Greystone Weetabix, sold to R.J. Mowbray, Co Tyrone. 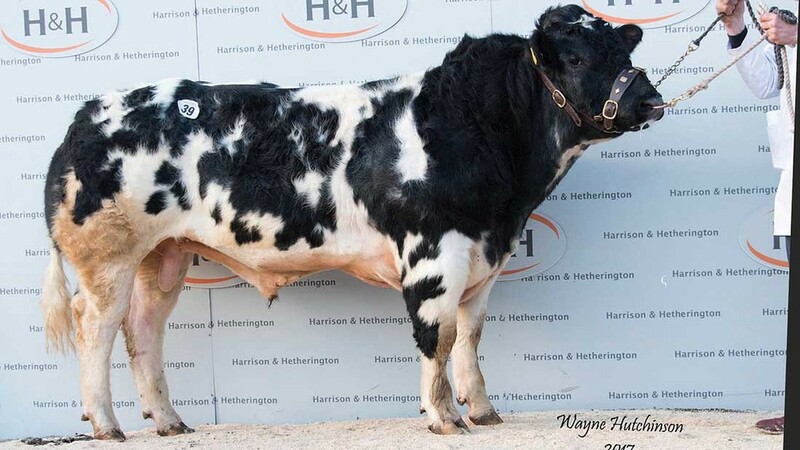 October 2015-born bull Pendle Jager Meister, from A.M. and E. Hartley, Nelson, was the first exhibit to sells for 9,500gns. A son of Newton Blues Chico and out of Pendle Hocus Pocus, it stood second in its class before going home with H. MacDonald, Morayshire. 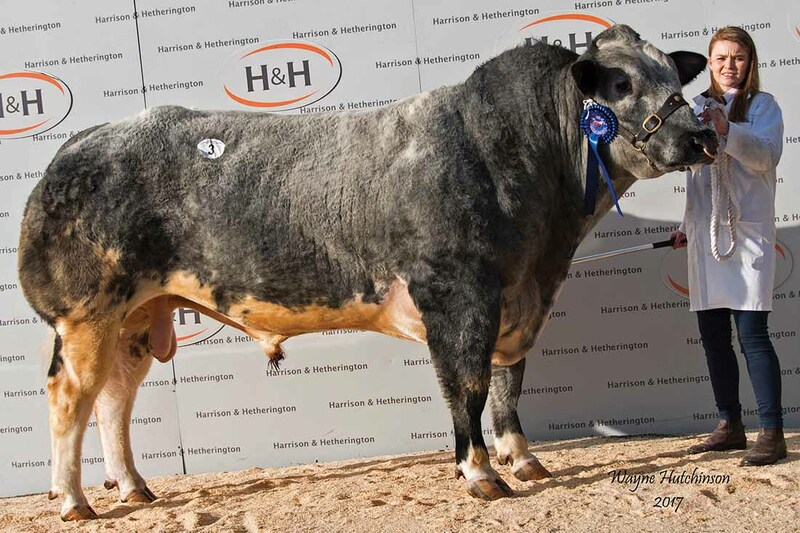 The Coates’ consignment followed with the April 2015-born bull Greystone King at the same money. Also by Ginola, and out of Greystone Emeralde, it was knocked down to J. Lee, Northumberland. The overall male championship title went to November 2014-born bull Top Side Joey, from Ross and Elaine Pattinson, Brampton. Out of Rathlyon Dinah and by Fleuron De Maffe, Joey was last year’s male champion at the Great Yorkshire Show. The buyer was William McLaren, Angus. Equalling the price was the reserve male champion, the Kelowna Ferdinand-sired Stonebyres Krona, from A. and C.S. Comrie, Stonebyres. Out of Stonebyres Heidi, it sold to J.L. Harley, Shropshire. Female trade peaked at 4,200gns, paid for the reserve female champion from Ian Mcgarva, Biggar. The maiden heifer Abington Liquorice, by Lennie Van Het Caloenhof and out of Lukeroyal Guess, was reserve junior female champion at last year’s stars of the future show, and sold to A.C. Bentham, Bishop Auckland. Richard J. Tiplady, Barnard Castle, sold the June-2016 born heifer Tipladys Lexi at 4,000gns. S.G. Benson, Ulverston, made the bid for the Tweeddale Iron Man daughter, which is out of the 6,800gns cow Bedgebury Glamourous. Greystone King from J. and E. Coates, Settle, which sold for 9,500gns. Pendle Jager Meister, from A.M. and E. Hartley, Nelson, sells for 9,500gns. 28 bulls, £5,955; 8 heifers, £3,929.06.